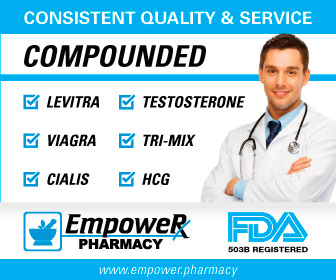 One thing that I see quite often in emails is that some men seem to be only seeking a pharmaceutical or supplement solution to their health and/or bedroom issues. What they do not realize is just how powerful lifestyle changes, such as exercise, can be. Our history here on planet earth involves lots of movement and walking in particular - almost nonstop - and the Western lifestyle is the polar opposite. But some men still struggle to exercise because they see no short term motivators. Well, here is one big short term reason for you to exercise: boosting nitric oxide. Yes, exercise is a huge nitric oxide and blood flow booster and we'll show you just how much with some of the key studies below. 1. Restore Youthful Blood Flow. If you are a senior or middle-aged and are seeing possible signs of endothelial dysfunction, such as erectile issues or high blood pressure, then there is one study in particular that should really grab your attention. In this study the authors found that sedentary younger men (22 to 35 years old) had 25% less forearm blood flow (to a standard stimulation test) than that of sedentary older men (ages 50 to 76). That's no shock - youth has its advantages after all. 2. High Blood Pressure Patients. A study in Circulation found that men with with hypertension got a nice increase (25%) using the same stimulation as in the study above. This is important, because it shows that you should begin where you are and not assume that you are so damaged that you cannot get a boost in blood flow or nitric oxide. CAUTION: If you have existing an existing medical condition, especially heart disease, consult with your doctor first before undergoing an exercise program. 3. High Cholesterol Patients. One study looked at high cholesterol patients and found that they got a nice bump in nitric oxide through exercise. Again, this is yet another study showing that, even if you are a high risk patient, you can significantly improve things. CAUTION: If you have any cardiovascular issues, clear exercise through your doctor first. This sounds like an overly cautious statement, but many men have had heart attacks during exercise and it is simply because they went too fast for their damaged cardiovascular systems. Go easy and talk to a doc if you have atrial fibrillation, angina, heart medications, high blood pressure, etc. What is the best exercise intensity level to increase blood flow? The more intense the better, right? What this study found out was very interesting. Using the same test as above in point #1, the authors concluded that "Twelve weeks of moderate-intensity exercise, but not mild- or high-intensity exercise, significantly augmented acetylcholine-induced vasodilation (7.5Â±2.4 to 11.4Â±5.8 mL/min per 100 mL tissue; P<0.05)." This was a 52% incease to the stimulation test after moderate exercise versus no appreciable gain with mild or intense exercise! Now it kind of makes sense that very mild exercise would not stimulate nitric oxide much. But why did the intense exercise not increase nitric oxide and blood flow even more than moderate and mild intensity levels? The answer lies in the fact that intense exercise increased oxidative stress, i.e. raised free radical production so much that it overwhelmed the body's ability to adapt. Now does this mean you should not push yourself and just "coast" in your workouts? No, not really. Another study showed that trained individuals had 32% more baseline nitrate levels, a measure of nitric oxide, than less trained individuals. So as you slowly build up your ability to exercise and train, you should see your baseline nitric oxide, i.e. resting plasma nitrate levels increase over time. Exercise As An Erectile Dysfunction Cure? "If exericise can do such a nice job boosting nitric oxide, can it be used to "treat" erectile dysfunction?" Well, yes and no. First of all, practically speaking, you can't really exercise and then try to grab your wife or girlfriend while you still have the elevated nitric oxide levels. Well, if YOU can do that, it just might work, because one study showed that nitric oxide levels increase by well over double post-exercise (~125% increase) in both trained and untrained individuals. That is an incredible boost from just one lifestyle change. There is just one problem though: after two hours nitric oxide levels returned to baseline. So that gives you maybe an hour-and-a-half to drive home from the gym, kick the kids out of the house, shower and convince the little woman that "now is the time!" Well, this isn't too practical obviously and so you may be wondering just how practical exericse really is. Well, before you give up on exercise, remember the study above: trained individuals have 32% more baseline nitric oxide levels than untrained. Yes, you can increase your baseline nitric oxide levels through regular and diligent workouts. In other words, these research results point out that exercise should be part of a total "Nitric Oxide Program" that helps maintain and/or restore youthful nitric oxide levels, thus helping any erectile dysfunction you may be experiencing. (Of course, there are other non-endothelial reason for erectile dysfunction, including Venous Leakage and Neuropathy for example. But, usually, a loss of nitric oxide-induced blood flow is a primary culprit. And one study (in obese men) has already found that exercise can improve erectile dysfunction. And no doubt more studies will follow. CAUTION: Few lifestyle factors are harder on the body than being sedentary, something I discuss in my link How Sitting Will Kill You. You may also want to read my article on Erectile Dysfunction and Exercise for some additional information. 1) Circulation, 2000, 102:1351-1357, "Regular Aerobic Exercise Prevents and Restores Age-Related Declines in Endothelium-Dependent Vasodilation in Healthy Men"
2) Circulation, 2003; 108:530-535, "Effect of Different Intensities of Exercise on Endothelium-Dependent Vasodilation in Humans: Role of Endothelium-Dependent Nitric Oxide and Oxidative Stress"
3) Med Sci Sports Exerc, 2008 Jul, 40(7):1336-43, "Effect of intensity of aerobic training on VO2max"
4) Journal of Applied Physiology, Mar 1 1997, 82(3):760-764, "Both physical fitness and acute exercise regulate nitric oxide formation in healthy humans"
5) Arteriosclerosis, Thrombosis, and Vascular Biology, 1999 19:2782-2787, "Exercise Training Increases Basal Nitric Oxide Production From the Forearm in Hypercholesterolemic Patients"
6) Circulation, 1999, 100:1194-1202, "Regular Aerobic Exercise Augments Endothelium-Dependent Vascular Relaxation in Normotensive As Well As Hypertensive Subjects"
7) J Am Coll Cardiol, 1995,25(2s1):298A-298A, "Exercise Increases Systemic Nitric Oxide Production in Men "
8) JAMA, 2004, 291(24):2978-2984, "Effect of Lifestyle Changes on Erectile Dysfunction in Obese Men A Randomized Controlled Trial"